SAN FRANCISCO—Chief Justice Tani G. Cantil-Sakauye today announced the appointment of six new Judicial Council members whose three-year terms will begin September 15. The new appointments include three voting members: Monterey Superior Court Presiding Judge Marla O. Anderson, Ventura Superior Court Presiding Judge Brian J. Back, and San Luis Obispo Superior Court Assistant Presiding Judge Martin J. Tangeman. This is the first time in more than 40 years that voting members have been appointed from Monterey and San Luis Obispo Counties. Three new non-voting advisory members include Judge Daniel J. Buckley, of Los Angeles Superior Court, Commissioner David E. Gunn, of Butte Superior Court, and Court Executive Officer Richard D. Feldstein, of Napa Superior Court. The new members will replace outgoing council members whose terms end in September: Judge Stephen H. Baker of the Shasta Superior Court, Judge Teri L. Jackson of the San Francisco Superior Court, Judge Mary Ann O’Malley of the Contra Costa Superior Court, Commissioner Sue Alexander of the Alameda Superior Court, and Santa Clara Superior Court Executive Officer David Yamasaki. 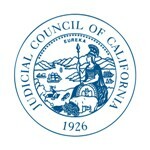 According to the state Constitution, the Chief Justice chairs the Judicial Council and appoints one other Supreme Court justice, three justices from the courts of appeal, 10 trial court judges, two nonvoting court administrators, “and any other nonvoting members as determined by the voting membership of the council.” Members serve three years, and new council members begin serving in September. The State Bar’s governing body appoints four members, and the state Senate and Assembly each appoint one member. Last week, the council voted to add one advisory member; with these appointments, the council will have 12 advisory members.